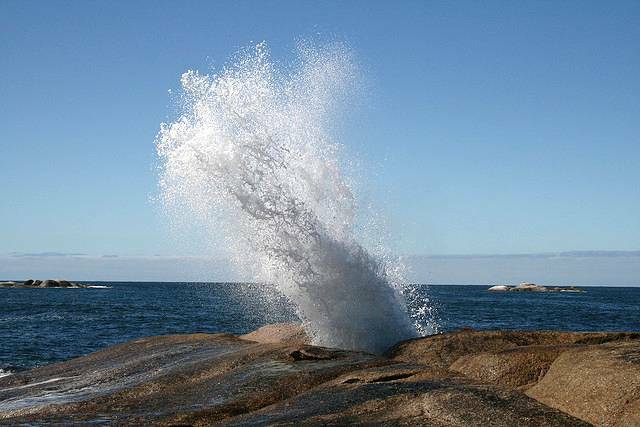 A blowhole is a sea cave which grows inwards and up, resulting in a perpendicular shaft open at the surface. 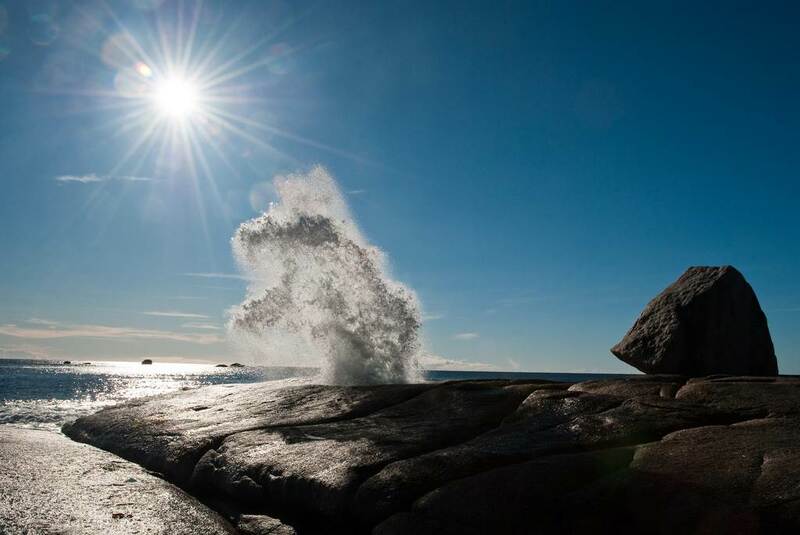 They occur when there is a weak joint in the rock and as the waves pound and erode the rock just above the waterline a cave is slowly but surely formed. 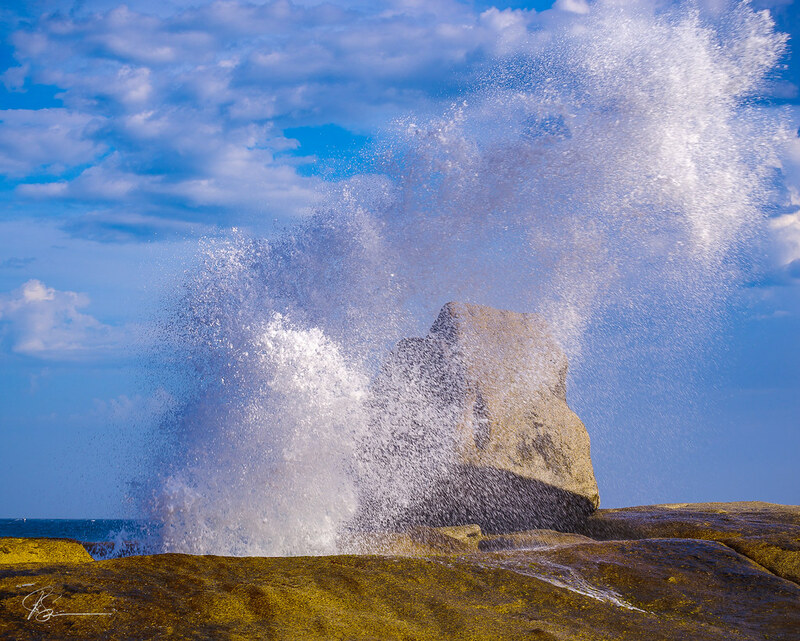 This can get to quite a length but if, as it develops, it hits a vertical weakness in the rock then it will head upwards – until it breaks the surface and hits daylight. 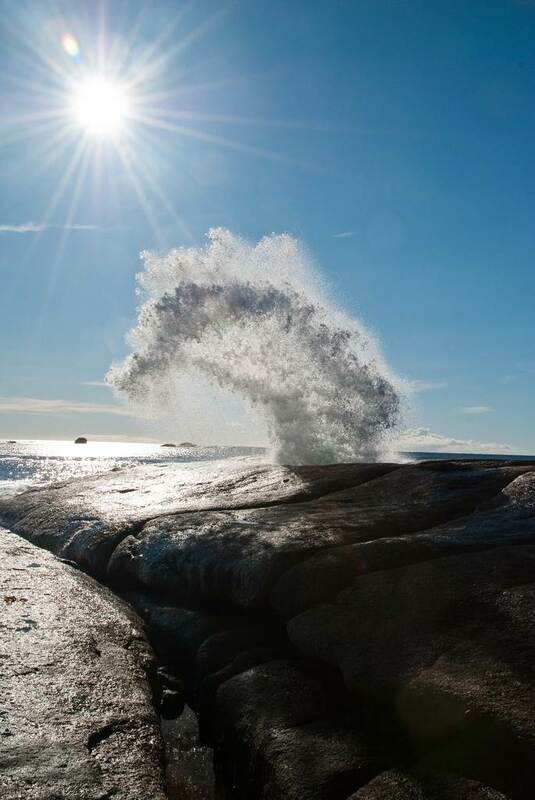 As a wave hits the rock the water pushes through the length of the cave at ever increasing levels of pressure so that when it hits the surface then it does so with explosive force. 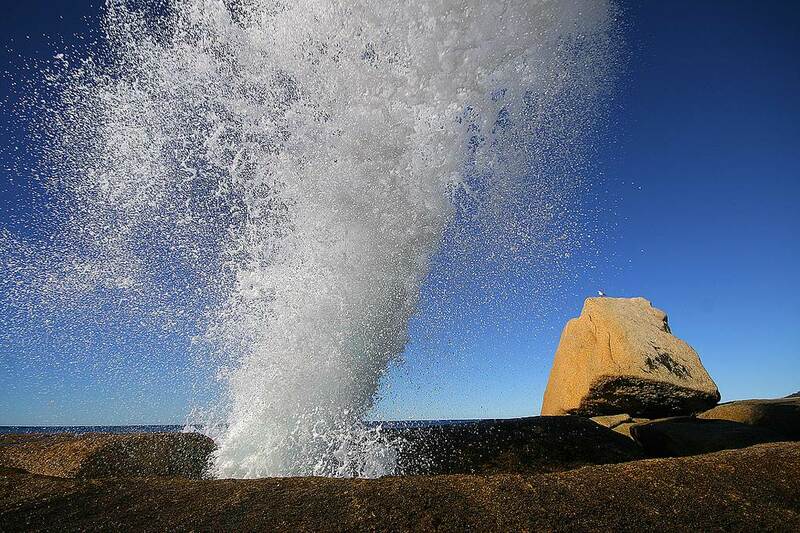 The Bicheno Blowhole can spout water several meters in to the air even when the sea is quite calm. 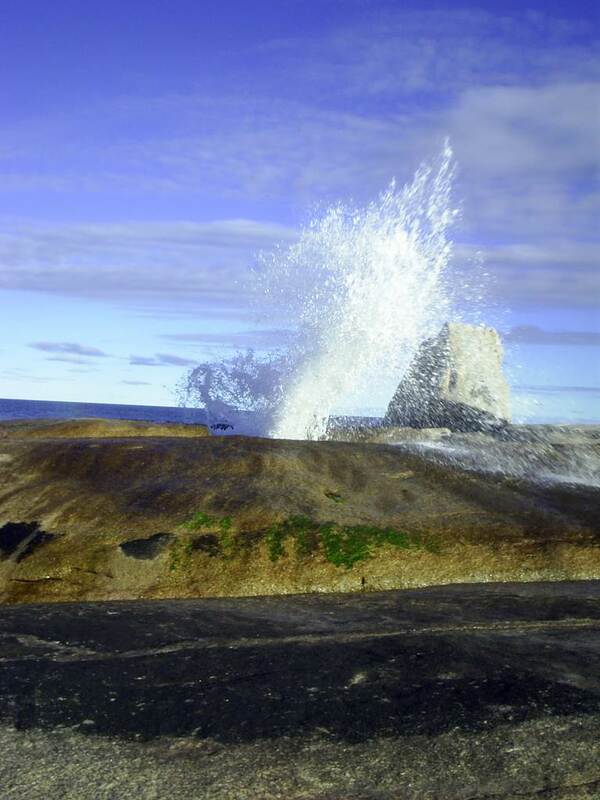 When the weather is less gentle it can shoot a funnel of water six meters above the cave’s exit point. That is when the fun starts. 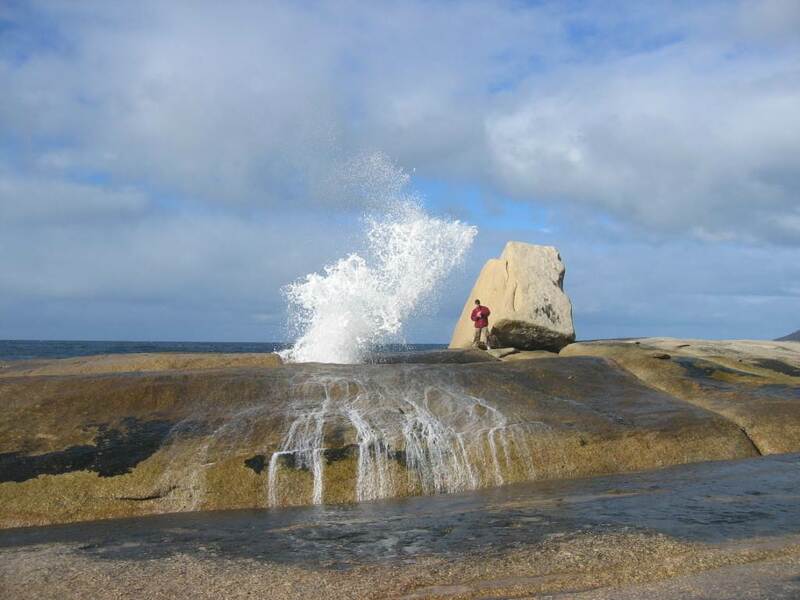 Although there is a very handy diamond shaped rock near the blowhole which people can hide behind, many take the option of standing near enough to get a good soaking. 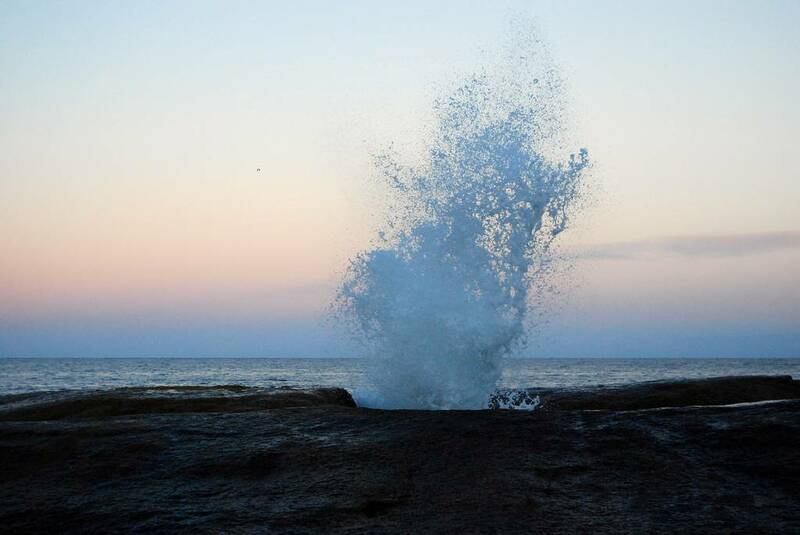 The water has been so shaken then went it erupts from the blowhole it is in a gunkier than you might really like form so it isn’t for the faint-hearted. 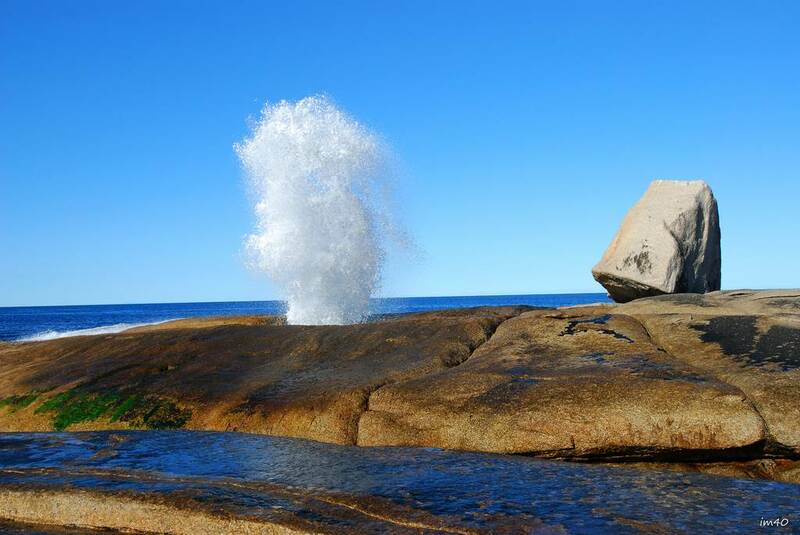 Plus, the blowhole can take even the careful by surprise. 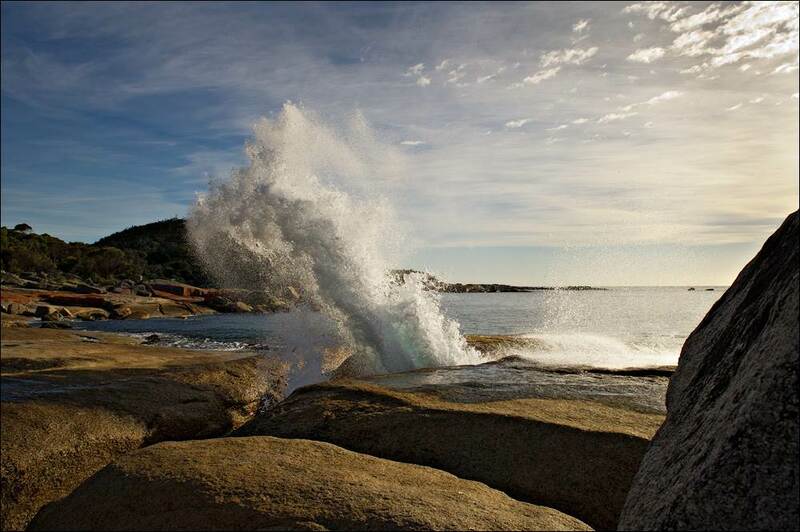 Photographer Andrew Wallace (who took the picture above) shares his experience. 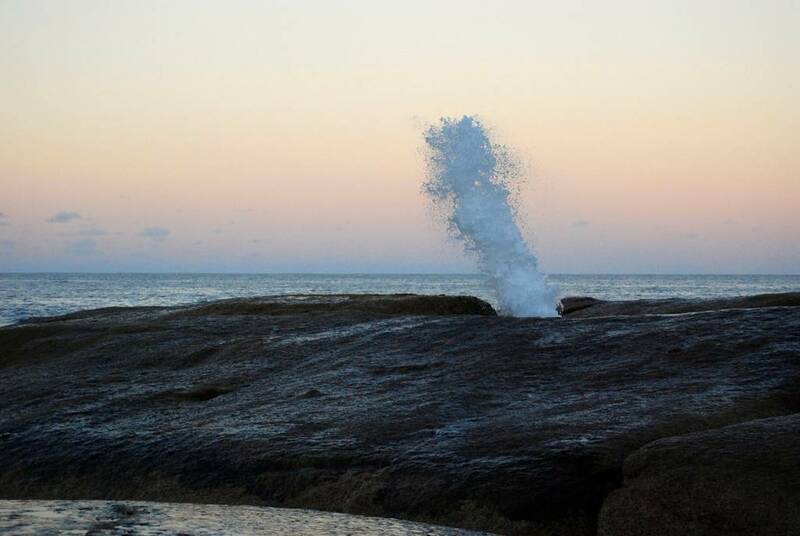 “I studied this blow-hole carefully. I found a safe place to squat and took many shots. Until this time, the largest eruption was about a tenth; the volume didn't reach the top of the frame. Moments after this, all I could do was hold the camera under my bum and hope it stayed dry. I was mostly soaked through two layers. At least it provided great and long-lasting amusement for my wife.” Despite various attempts at resuscitation, the camera died several hours later. 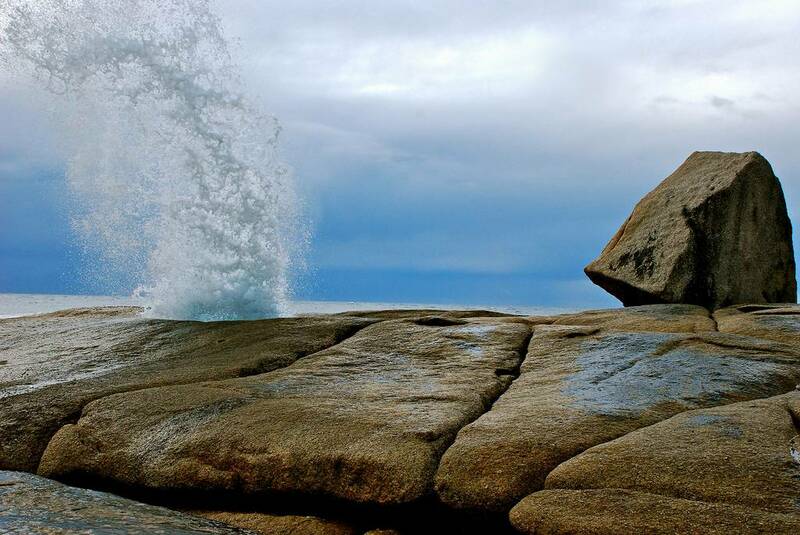 There is no doubt that there have been any number of blowhole related camera deaths at Bicheno not to mention sore body parts after falls during retreats hastily beaten. Perhaps therein lies the allure of the place. It cannot fail to induce a level of awe at the power of nature, the millennia long inexorability that led to the blowhole’s formation. Then there is the added opportunity to point and laugh – always a winning combination. Kuriositas would like to thanks the following Flickr photographers for their generosity in allowing us to show you their photographs here. Copyright is retained by the photographers. Please visit their photostreams.